Just like the Queen's letter to the Duchess, our challenge this month is to create something with a postal theme - stamps, postcards, letters, envelopes; however you choose to interpret that. 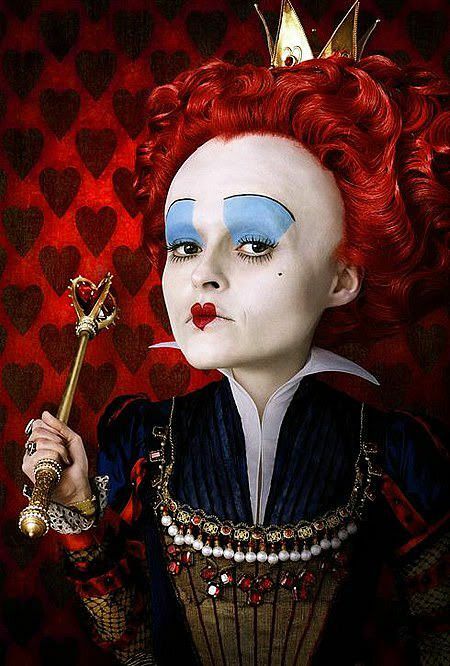 As always, all entries that meet the challenge theme are accepted but Wonderland entries are encouraged (they get two chances instead of one in the prize drawing). Friday, June 22 is the last day to enter this month's challenge. The winner will receive a Stamp Attack gift certificate for £13.50, which is equivalent to one of the Alice stamp plates! We will be showing off two new offerings from Stamp Attack: Alice Faux Postage and Mouses Tail, aren't they great? The mailbox was originally shiny red, so I started with a coat of gesso inside and out. Then I painted the outside with a creamy yellow color. I removed the red flag from the box and replaced it with a metal key. The mouse is a wooden egg I found at the craft store. I covered it with strips of sheet music with modge podge. The ears are made from half of a heart punch and then folded. The mailbox has a small nest inside with a few flower stems and some moss. I stamped the postage stamps onto water color paper and colored with pencils. The envelopes are made from all sorts of things; sheet music, old books, dictionary pages. Then I added the names with some india ink. So what are you waiting for? 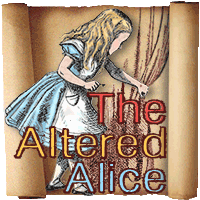 Come join in the fun over at The Altered Alice, you have the whole month to create something and join us down the rabbit hole.